The Government on live TV announced the annual results of Ukraine’s largest state-owned enterprises and outlined the ways of their development. Plenty of ideas were voiced, but the matter of who will execute the plan was left behind the scenes. Prime Minister Arseniy Yatsenyuk announced in advance a government meeting dedicated exclusively to the development of the SOEs, hinting at upcoming sensations. The agenda included mainly the energy holdings and industry monopolies like Ukrspirt, Administration of Seaports, and Ukrposhta postal service. Top managers were invited to the meeting. Officials reiterated their annual results: total net profit of the top 100 Ukrainian SOEs in 2015 amounted to UAH 2.6 billion against UAH 7.4 billion losses in 2014. 17 largest SOEs increased their income by nearly 40%. Among the best performers is Energorynok (financial outcome improved by UAH 1.6 billion), Administration of Seaports (plus UAH 2.3 billion) and Odesa Portside Chemical Plant, which is preparing for privatization in 2016 (plus UAH 500 million, for the first time in the last 10 years). 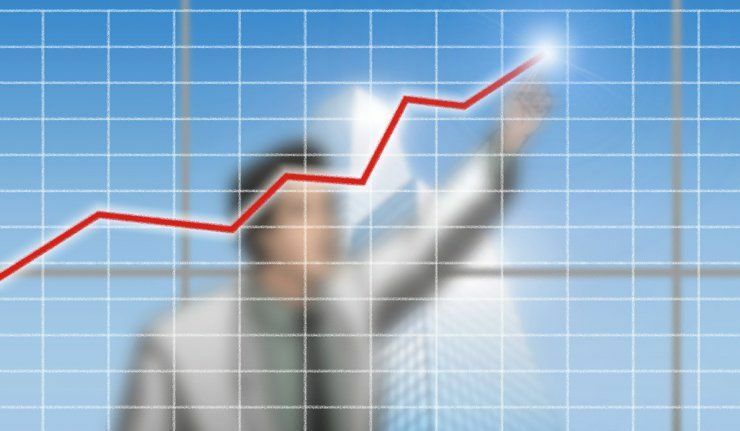 Naftogaz set the record in positive indicators. In 2015, the company cut its budget deficit from UAH 85 billion to UAH 25 billion, planning to leave the zone of losses in 2016. However, managers of some major SOEs got a D for their work in 2015: Centrenergo, Ukrsprirt, Ukrhydroenergo, the State Food and Grain Corporation of Ukraine, the United Chemical Company, and Ukrnafta, where the state has a 51% stake. Prime Minister Yatsenyuk promised Ukrnafta, which was affected by the fall in global oil prices, an aid plan, to be developed with the participation of experts from the Energy Ministry and Naftogaz. All others were warned of possible criminal proceedings. Materials gathered in audit inspections of these companies in 2014-2015 have already been forwarded to law enforcement agencies and the National Anti-Corruption Bureau for further investigation. Yatsenyuk emphasized that any attempts by the companies’ top managers to hinder the inquiries will result in dismissals. "The position of the government is that we must completely change the management and control system over state companies," said Yatsenyuk. According to him, there is an ongoing struggle for the SOEs, aimed at appointing the “right" people to top posts. "That is why I proposed to hold a public meeting to show that I will not allow further politicization of the activities of state-owned companies. I will not allow for the state-owned companies to continue feeding political figures and parties,” Yatsenyuk said. “Everyone voices slogans about fighting corruption, but they still come through the backdoor and ask to appoint certain people. It's clear and we know it all." Yatsenyuk said there would be no more “back door.” As a key agency on state assets management, the Ministry of Economic Development and Trade in the near future is to draft a procedure for auditing foreign economic contracts of the SOEs, to stimulate the transition to Prozorro procurement system, and to submit to the Government the potential candidates for the posts of CEOs of 50 leading state holdings. Competitions for top positions are a prerequisite of government reform. But it would be easy had it not been so difficult. Top 50, or even top 100 largest SOEs, is only a part of the state assets. In general, the state property is very cumbersome. Today in Ukraine there are about 3,500 SOEs, of which only half are economically active. Moreover, almost all economically active companies are prohibited for privatization for one reason or another, although not all of them are of strategic national interest. Often, the factories and construction bureaus rent their facilities, while the equipment is used for all kinds of counterfeit manufacturing. According to the government, such property should be divided into strategic assets and those that could be sold quickly. The Economy Ministry will deal with strategic assets, while privatization competitions will be held for the remaining bulk. According to Deputy Minister Yulia Kovaliv, the Economy Ministry has already prepared a new bill on halving the list of SOEs banned from privatization down to about 850 companies. The privatization list will be supplemented by all “dead load” companies as well as some companies, which are more alive, of the agricultural sector and infrastructure, particularly the ports. "This radical bill only upholds a ban on privatization of the defense sector enterprises, forestry and strategic companies," said Kovaliv. The bill will soon be approved by the government and submitted to the Parliament, where there are plenty of opponents of large scale privatization. Managing Partner at Da Vinci AG Andriy Kolpakov is positive that mass privatization is no solution. "There are many examples of developed political- economic models, where the state was or is an effective owner. There are examples where state ownership in general is part of the tradition of the political and economic system. For example, in France," the expert noted in a comment UNIAN. According to him, the revealed financial violations at some SOEs cannot be grounds for privatization. Kolpakov argues that this evidences inefficient management and "failures" of law enforcement agencies, nothing else. The expert suggests that privatization will be a failure against the background of an ongoing crisis, and Ukraine will not get the money it expects. However, filling the budget is not the sole goal of privatization. Global history witnessed many examples of states actually aiming to find effective managers during the privatization process. That is, in general, the aim of the current government. What should be done if privatization appears to be a "miss"? The experts are united in one idea: Ukraine needs to implement global reforms necessary to create conditions for the law enforcement and judicial system to work in the public interest and not in the interests of certain individuals. "In this case, a prerequisite is that the system does not become a closed caste of major owners, as it has in Russia. This is the main strategic objective, which will once and for all resolve the majority of issues related to property. If this is not done, then no privatization, no half-measures in staffing policy, no system of public control over the SOEs will be able to help in this situation. In the best case, Ukraine will only be able to get a little money to close the "holes" in the budget, that is to solve tactical problems," said Kolpakov. 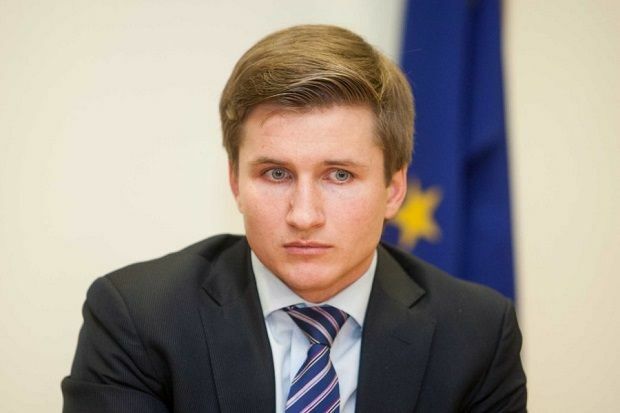 Adomas Audickas, adviser to the Minister of Economic Development and Trade of Ukraine, curator of the public sector reform program, agrees with the expert. "It is good that the state finally pays attention to the reform of the public sector. It is good that, at the suggestion of the prime minister, an independent nominating committee at the Ministry of Economic Development will select 50 CEOs of the largest SOEs. It will be good if the government will receive the right to unilaterally break contracts with former managers, who failed to develop their companies. It’s bad that these actions will certainly lead to mass lawsuits by the "offended" managers, and the courts will not always be objective," said Audickas. According to him, currently the Ukrainian legislation is capacious enough for the organization of the right management of state property. "The problem is not in the laws, but in the fact that Ukrainians do not follow the laws, and the state is unable to fulfill its most important function – ensuring the rule of law," Audickas said, stressing the need for a speedy judicial reform. Director of economic programs at Razumkov Center Vasyl Yurchyshyn also spoke with UNIAN on judicial innovations in the framework of public administration reform. According to him, the politicization of operations of top-management in the public sector is unacceptable. At the same time, a realistic assessment of the situation in the SOEs and international audit are justified and expected. "We need to make an assessment. All we have now is an analysis of who is better and who is worse, and what the losses are. The SOEs must pass an international audit, and only then can we confidently talk to potential investors,” said Yurchyshyn. “The next step is to provide support to the SOEs, whose competitiveness is real, not far-fetched. If we can contribute to ensure that the products of such companies have access to international markets, this is extremely important. Accounting, control and promotion of companies that are really competitive must be the subject of attention," the expert said. But there is another nuance. The experts hint at the major factor that could negate all the efforts of the government in the area of reforming the state-owned companies. We still know nothing about the fate of the current Cabinet, which declared the reform toward reviving the SOEs. 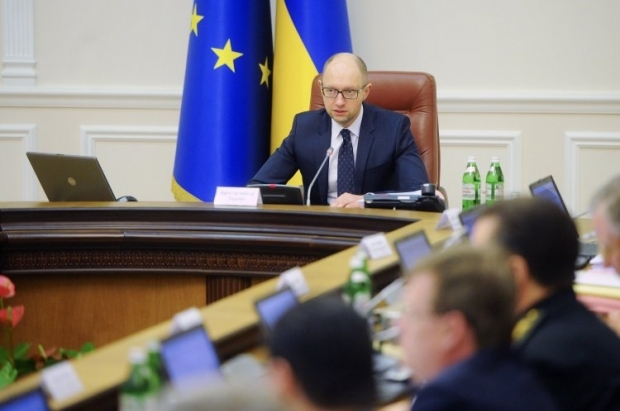 It is possible that the Cabinet of Arseniy Yatsenyuk has only a few days in office remaining. What will happen then with all his ideas if other people occupy the offices on Hrushevskoho Street, who have other goals and different objectives? Ukrainian authorities have never been strong in continuity, especially in the part of economic policy. It means it is likely that the “state hippo” that has almost been pulled out from its swamp, will be put back in, until better times. Meanwhile, an obvious failure of public administration reform will be written off as the mistakes of a “former government,” and it will not be the first time for Ukraine to witness this process.